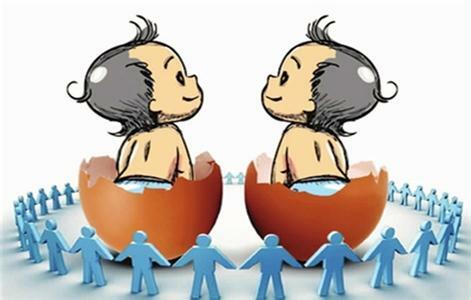 The government in China plans to end its one-child per family policy and instead let families have two children. The plan was announced Thursday after high-level political meetings in Beijing. The official Xinhua news agency says the country's top legislature must approve the proposal before it becomes law. A Chinese Communist Party statement gave a number of reasons for the change in policy. The statement said the change is meant to balance population development. It said the move also attempts to stop a declining birth rate and strengthen the country's work force. China - the world's most populous country - launched the one-child policy in 1980. But the government permitted only a small number of couples to have two children. For example, some rural families were given approval to have two children. A total of 19 rural provinces have a partial two-child policy. That policy states if the first-born is a girl, a second child is permitted. In 2013, the Chinese government gave other couples a chance to have two children. Families could have two if one parent was an only child. A teacher and population expert, Jiang Quanbao, explained how Chinese families will react to the policy. "Too many young people in the cities are probably no longer interested in having a second child," he said. "People in rural farming villages may be more interested. But again, some of them are already allowed to have two children." At the end of 2014, China had a population of 1.37 billion people. A total of 800 million of them are employed. But that job market population is expected to drop by 2050. With the two-child policy, an increase in births will ease the labor shortage, starting in 20 years. Nobody would approve your ideal plans for reforming the system of government. Can you advance any proposal? The legislature appropriated funds for the university. He balanced a football on his head. Asia is also the most populous continent. I gave him some brandy to ease the pain. 1.A Chinese Communist Party statement gave a number of reasons for the change in policy. The speaker can extemporize on any of a number of subjects. 2.A total of 19 rural provinces have a partial two-child policy. A total of 7500 brochures had to be binned. 3.Too many young people in the cities are probably no longer interested in having a second child. The law will no longer come into force.